LONDON -- UK new-car registrations fell by 4.8 percent in June, the first time in six years sales have fallen for three months in a row as the market cools from record highs, the Society of Motor Manufacturers and Traders said. 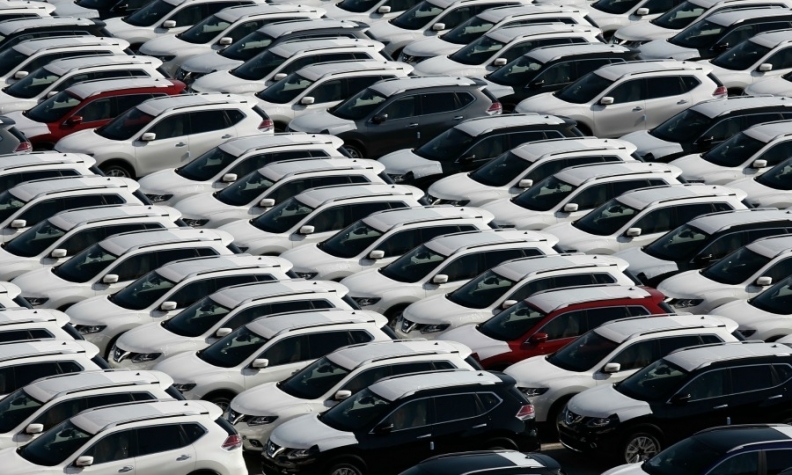 A total of 243,454 vehicles were sold last month, the SMMT said in a statement Wednesday, as demand among individual consumers dropped 7.8 percent and business fleet demand fell 2.4 percent. Demand for diesel continued to fall in June with sales down 15 percent, while registrations of gasoline models grew 2.5 percent. Despite the overall result, the SMMT remained optimistic for the second half. “The numbers are still strong and the first half of the year is the second biggest on record. Provided consumer and business confidence holds, we expect demand to remain at a similarly high level over the coming months,” SMMT CEO Mike Hawes said. • Download sales by brand for June and six months here. Sales hit a record high last year, boosted by cheap credit and strong consumer confidence which has fallen after a rise in inflation, the inconclusive outcome of June's national election and as Brexit talks begin. A vehicle duty tax rise which came into effect in April also distorted the market this year, pushing up sales to an all-time high in March before a subsequent slump of 20 percent in April. In the first half of the year, demand dropped 1.3 percent to 1.4 million, with the SMMT expecting full-year numbers to decline by 2.6 percent to 2.62 million sales, according to a forecast published earlier this year. The UK's sales drop was in contrast to most other major European markets last month. Registrations in France were up 2 percent, while Italian and Spanish volume rose 13 percent and 7 percent respectively. In Germany registrations fell 3.5 percent.